For the first time ever, the day before one of the biggest sporting events of the year has been made a public holiday, giving us Victorians a lovely long weekend. There has been a lot of fuss about this new public holiday, especially from small businesses who are doing it tough enough as it is. 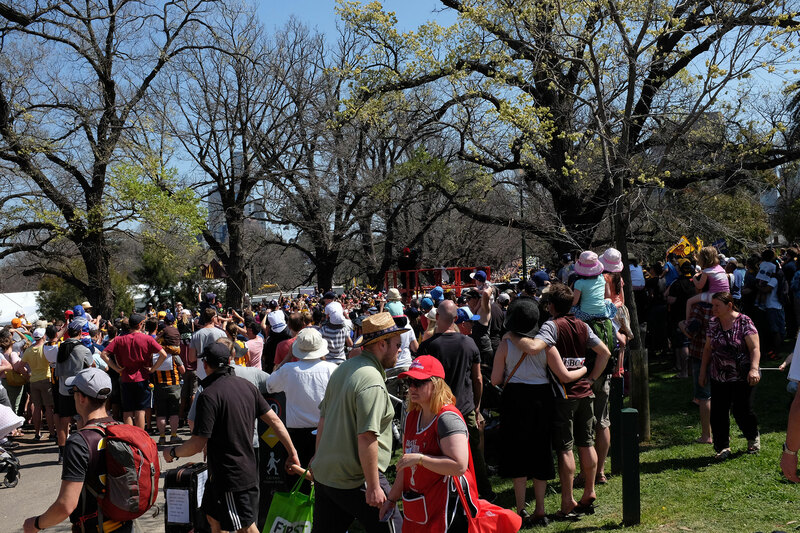 There was also concern that no one would go to into the city for the AFL Grand Final Parade, and line the new route that ended up at the MCG rather then Parliament House. 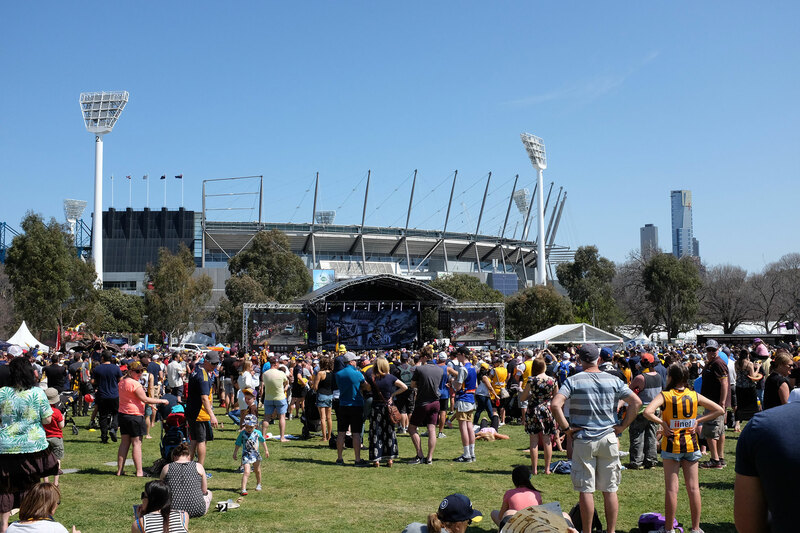 I am not sure how businesses not in the city fared, but I can safely say, there was no need to worry about people turning up for the Grand Final Eve show….I have been to a few parades, including the one last year, and I reckon there were even more people there today! And although some parts of the city were perhaps a little quieter…more like a Sunday…there were plenty of cafes and businesses doing a roaring trade, particularly in the hot spots such as Degraves Street. It did help that the weather was absolutely perfect…Melbourne was looking her absolute best! Plus there were plenty of interstate visitors…I think Perth must be empty as there were plenty of Eagle supporters wandering the city streets! 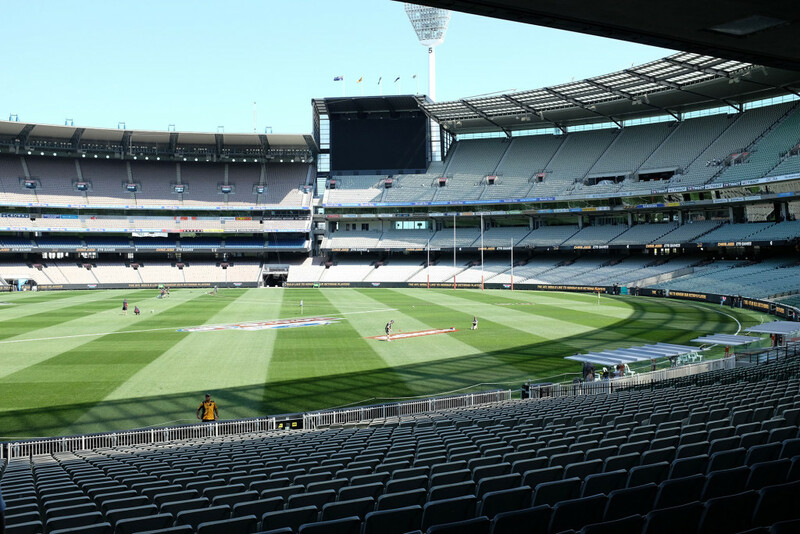 We wandered down to the MCG precinct to check out what was happening…snuck in a picture of the ground before being told no photos…looking good! 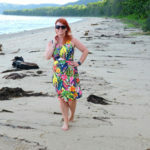 I have to say, it was like being at a fair…the sun was shining, everyone was smiling and there seemed to be a great vibe! 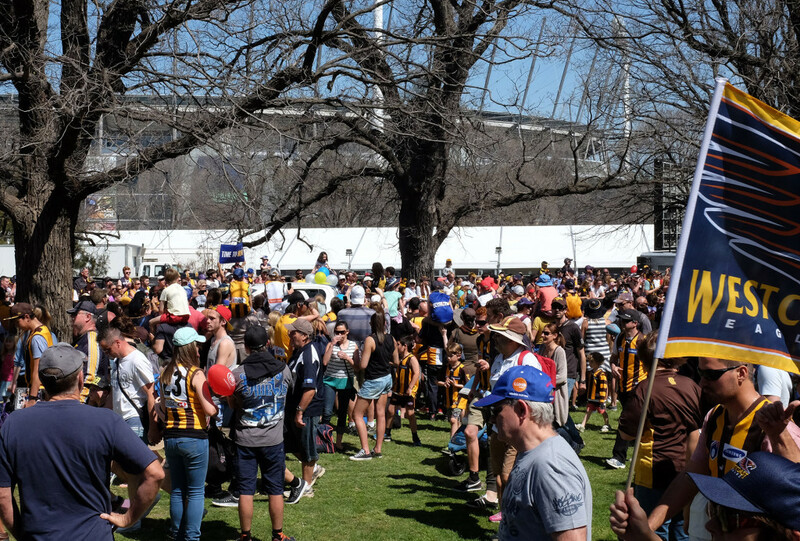 It was interesting that there were so many people at the MCG, not watching the parade….they were too busy taking part in all the activities that were happening and enjoying the food that was on offer. Which meant once the parade finished, there would have barely been room to move as everyone congregated in front of the big screen to watch the players and coaches being presented. We left before that because I hate crowds at the best of times, but I have to say it was like being at a fair…the sun was shining, everyone was smiling and there seemed to be a great vibe! So who are we going for tomorrow? Well, as Cats supporters, we just can’t bring ourselves to support the Hawks, so for tomorrow, we will be Eagles fans! ‘Cause there’s one day in October we want to remember. There isn’t any doubting we’ll be in there shouting. And we know that you won’t let us down. 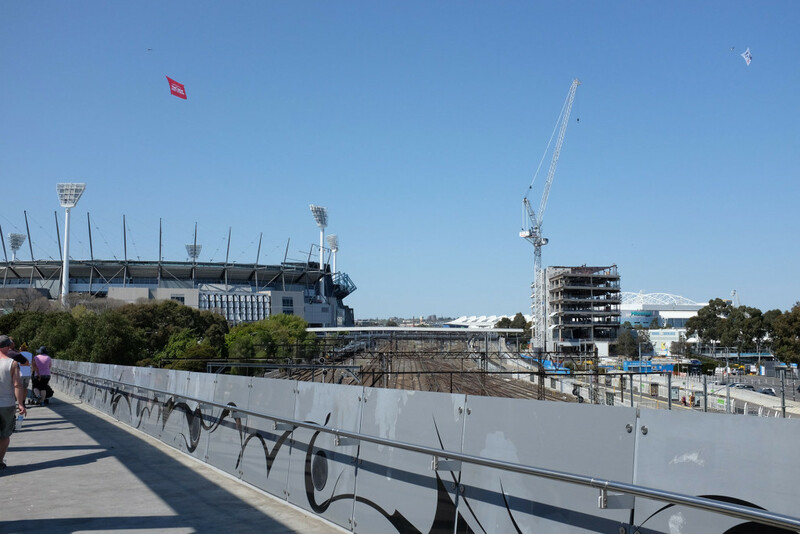 There is no doubting the role that AFL Footy plays in the world’s most livable city! « Checkup Day…Two Years after Thyroid Cancer	» And the winner is…Hawthorn….again!